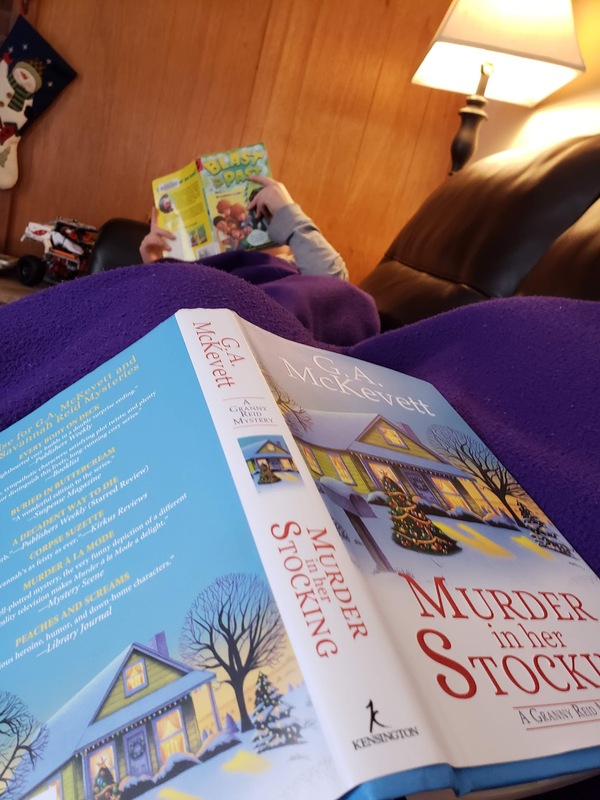 I've been on a roll this fall with cozy mysteries. I've really enjoyed them. I used to be a huge thriller person, but lately those have irritated me when I read them too often. Cozy mysteries are apparently my jam, since I am blowing through them. Murder in Her Stocking by G.A. McKevett is set in McGill, GA. The Prologue is present day but the bulk of the story is a Christmas thirty years earlier in the 1980s. The story is told from the perspective of Stella Reid. It appears this is a spinoff series from the Savannah Reid series by this author. I have not read any of those! The book starts out by introducing us to small-town Georgia in the 80s. Stella is walking down the street with her seven grandchildren whom she mentions are all named for cities in Georgia that their delinquent mother has lived. The time is right before Christmas and we learn about how poor the Reid's are and how neglected they are from their parents. In a surprising turn of events, there is a murder in this super small town. The murdered person is someone who didn't have too many friends because she paid a bit too much attention to the married men in town. Stella injects herself into the investigation with Sheriff Gilford, as one does in small town Georgia and we learn about all the interesting characters in McGill. This book is funny, quick *read it one day* and gets you invested in the Reid family. There is a lot of folksy endearments and one liners that at times make it seem like it may be trying too hard,but it works for the book. 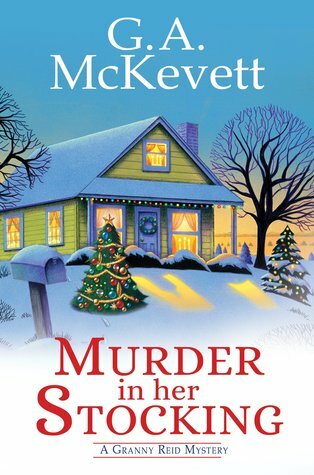 If you are looking for a quick Christmas time cozy mystery to snuggle up with I'd recommend it. Grab some tea and settle in the couch while the snow flies! Description: As the Moonlight Magnolia Agency revisits old memories on Christmas Eve, Granny Reid takes the reins back thirty years to the 1980s--back when she went by Stella, everyone's hair was bigger, and sweaters were colorful disasters. But murder never went out of style . . .
What are some Christmas time books you have read and enjoyed? Have you read any book with an older woman as the main character? What's your favorite beverage to enjoy while winter reading?